Have you ever felt that certain emotions you feel are just unexplainable? Do you feel that no matter what you do or what treatments you undergo, your anxiety and panic attacks or your phobias will never go away? Do you feel that you need to get to the root cause of these emotions, but you just don't know how? If so, you may find the solutions to all your problems in your past life, and in order to do this, you will need past life regression. Over the last few years, many people have found past life regression therapy to be a wonderful way to release fears, phobias, and feelings. Regression techniques help you reach the deepest part of your consciousness through hypnosis. It allows you to relive your past life and heal and grow your mind, body, and soul. It helps you to become a more focused, relaxed person, and it strengthens your relationship with yourself as well as others. While many prefer to go to therapists specializing in past life regression, there are certain techniques you can use yourself in the comfort of your home to heal your past life experiences, pains, and hurts. 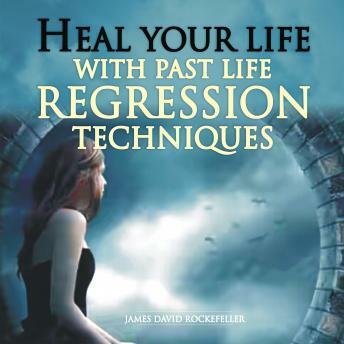 The aim of this book is to help you know what past life regression is, what benefits you can expect to achieve with it, what actually happens in a session, and how you can do your own past life regression at home any time you want.